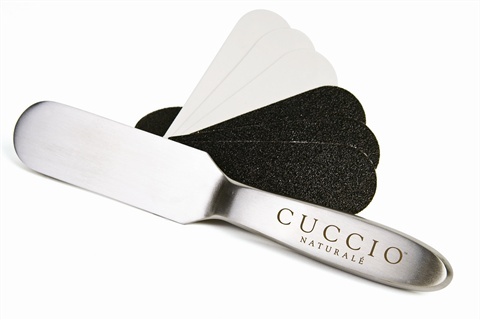 Cuccio Naturalé’s new Stainless Steel Pedicure File makes pedicure filing easier than ever. The ergonomic file is 100% sanitizable and comes with adhesive abrasives of 180-grit medium and 80-grit coarse to cover the sensitive areas of feet as well as the toughest calluses. The abrasives come with 15 disposable sheets so your clients receive the cleanest and safest care possible.